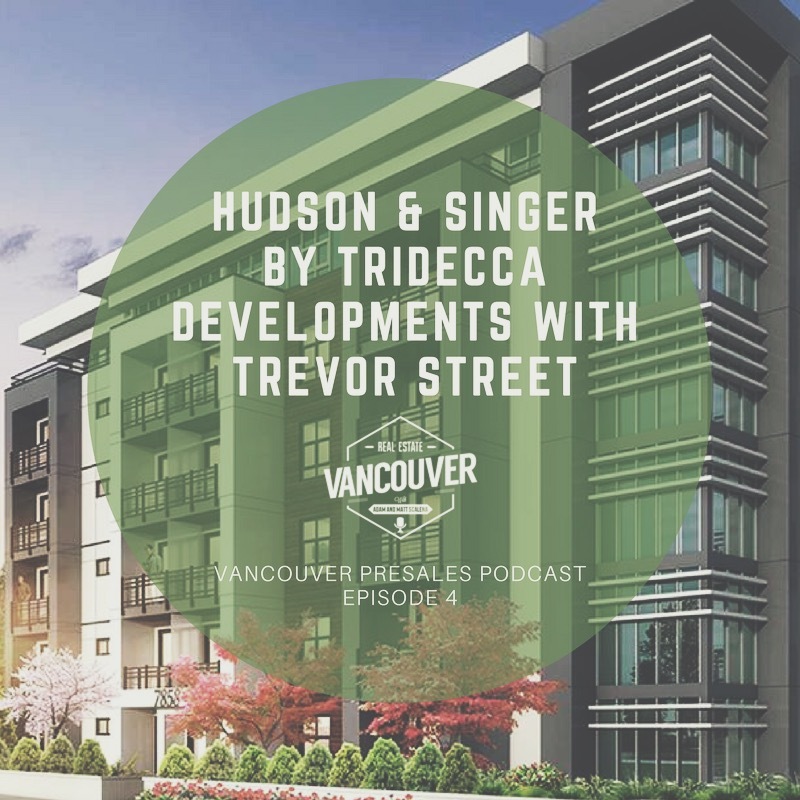 Managing Partner of The Partners Marketing Group, Trevor Street, joins Adam and Matt to discuss Hudson & Singer, an artful, modern condominium community coming to Langley Township’s bustling Willoughby neighborhood. The development has 152 units and is scheduled for completion in 2019. Willoughby’s new standard for luxury! It’s beautiful and something that hasn’t ever been done in Langley. The design is contemporary and expensive, but not overdone so it won’t look out of place. There’s something for everybody: the first-time buyer, the investor, the downsizer, etc. It’s an incredible area, right at 208 and Willoughby Town Centre Blvd. It has a Newport Village feel where you can walk to boutique shops and cafes. You can also walk to the Langley Events Centre. And it’s less than a kilometre from Highway 1, which is perfect if you need to drive into Vancouver every day. It’s a small town feel with big city connections. It feels like you’re in the suburbs but it’s easy to get around with the Highway 1 connections. It’s a large project with 150 homes in two buildings. There’s going to be a huge courtyard with a clubhouse, outdoor putting green and playground. It’s like its own little community. Usually these buildings are the same all the way up, but ours is not. The 6th floor pulls back and there’s different layouts on the top floors with huge patios. The buildings are six storeys. The sixth story will have the best view. There will be some really nice views in the Hudson building looking west to the mountains. Tribeca Developments has been around for a long time and has done a lot of great work in Metro Vancouver. They’re a great group of people who aren’t trying to bang out a project as quick as possible. Completion for Hudson should be late 2019/early 2020. Singer will follow in early to mid 2020. Units start in the low $300,000s. There’s going to be a lot of product below $400,000. It’s about 50/50 interest between investors and end users. For investors, there’s great opportunity for cash flow. Each unit will come with one parking stall and the option to buy a second. Strata fees are still being finalized but should be between 22 and 24 cents per square foot (a huge decrease from the 45 cents/square foot we see in Vancouver). If someone was on the fence, why would they want to buy? It never hurts to pick up a piece of real estate. Look at your personal finances and ask yourself if this is a product you’d feel comfortable holding onto and renting out for a few years. Units will cash flow and provide passive income so you can pay down your mortgage quickly. There’s a good rental market in Langley for investors with apx 1% vacancy.